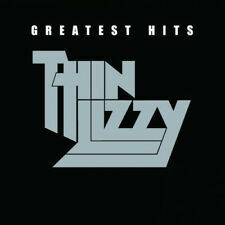 Thin Lizzy : Greatest Hits CD (2004)Title: Greatest Hits Artist: Thin Lizzy Genre: Rock/Pop|Rock Duration: 155 mins Format: CD / Album Type: CD No. of Discs: 2 disc(s) Studio / Label: Universal Music TV UK Release Date: 07 Jun 2004. 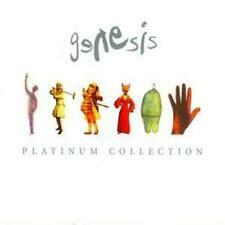 Genesis : Platinum Collection CD (2004)Title: Platinum Collection Artist: Genesis Genre: Rock/Pop|Rock Duration: 233 mins Format: CD / Album Type: CD No. of Discs: 3 disc(s) Studio / Label: Virgin Records UK Release Date: 29 Nov 2004. 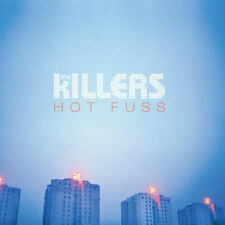 The Killers : Hot Fuss CD (2004)Title: Hot Fuss Artist: The Killers Genre: Rock/Pop|Pop Duration: 46.30 mins Format: CD / Album Type: CD No. of Discs: 1 disc(s) Studio / Label: LK UK Release Date: 07 Jun 2004. Of Discs: 3 disc(s) Studio / Label: Warner Music UK Release Date: 15 Nov 2004. 2 15 WhoÂ’s Afraid Of The Big Bad Wolf -. 2 24 With A Few Good Friends -. 3 12 Go The Distance -. 3 11 Colours Of The Wind -. Evanescence : Fallen CD (2004)Title: Fallen Artist: Evanescence Genre: Rock/Pop|Gothic Duration: 48.50 mins Format: CD / Album Type: CD No. of Discs: 1 disc(s) Studio / Label: Sony UK Release Date: 23 Feb 2004. Alexander O'Neal : Greatest Hits CD (2004)Title: Greatest Hits Artist: Alexander O'Neal Genre: R&B/Soul|Soul/R&B Duration: 77.10 mins Format: CD / Album Type: CD No. of Discs: 1 disc(s) Studio / Label: Tabu UK Release Date: 23 Aug 2004. Various Artists - Now That's What I Call Music Years. 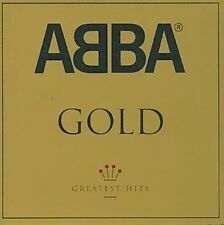 Title:Various Artists - Now That's What I Call Music Years. Artist:Various Artists. Your item will be previously owned but still in great condition. Various Artists : Bigger, Better Power Ballads CD (2004)Title: Bigger, Better Power Ballads Artist: Various Artists Genre: Rock/Pop|Compilation Duration: 157 mins Format: CD / Album Type: CD No. 1 9 Alice Cooper - Poison. Olivia Newton-John : The Definitive Collection CD (2004)Title: The Definitive Collection Artist: Olivia Newton-John Genre: Rock/Pop|Pop Duration: 78.30 mins Format: CD / Album Type: CD No. of Discs: 1 disc(s) Studio / Label: Universal Music TV UK Release Date: 18 Oct 2004. Engelbert Humperdinck : His Greatest Love Songs CD (2004)Title: His Greatest Love Songs Artist: Engelbert Humperdinck Genre: Easy Listening|Vocal - Male Duration: 77.30 mins Format: CD / Album Type: CD No. Title:Dexy's Midnight Runners - The Very Best of Dexys Midnight Runners. Artist:Dexy's Midnight Runners. Your item will be previously owned but still in great condition. The disc will play perfectly without interruption and the case, inlay notes and sleeve may show limited signs of wear. The Pointer Sisters : Greatest Hits CD (1997)Title: Greatest Hits Artist: The Pointer Sisters Genre: R&B/Soul|Female Vocal Duration: 73.10 mins Format: CD / Album Type: CD No. 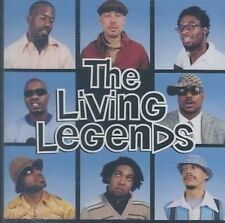 of Discs: 1 disc(s) Studio / Label: BMG UK Release Date: 24 May 1997. Muse : Showbiz CD (1999)Title: Showbiz Artist: Muse Genre: Rock/Pop|Rock Duration: 49.40 mins Format: CD / Album Type: CD No. of Discs: 1 disc(s) Studio / Label: Mushroom Pillow UK Release Date: 04 Oct 1999. Blue : Best of Blue CD (2004)Title: Best of Blue Artist: Blue Genre: Rock/Pop|Pop Duration: 55.50 mins Format: CD / Album Type: CD No. of Discs: 1 disc(s) Studio / Label: Innocent UK Release Date: 15 Nov 2004. Billy Ocean : The Ultimate Collection CD (2004)Title: The Ultimate Collection Artist: Billy Ocean Genre: R&B/Soul|Male Vocal Duration: 75.30 mins Format: CD / Album Type: CD No. of Discs: 1 disc(s) Studio / Label: RCA UK Release Date: 04 Oct 2004. System of a Down : Steal This Album! CD (2004)Title: Steal This Album! of Discs: 1 disc(s) Studio / Label: Columbia UK Release Date: 17 May 2004 Explicit Lyrics: Yes. Disc 1 11 Highway Song 3.14 mins. Various Artists : Clubland 5 CD (2004)Title: Clubland 5 Artist: Various Artists Genre: Dance|Compilation Duration: 152 mins Format: CD / Album Type: CD No. of Discs: 2 disc(s) Studio / Label: Universal Music TV UK Release Date: 12 Jul 2004. Of Discs: 1 disc(s) Studio / Label: Independiente UK Release Date: 01 Nov 2004. Disc 1 18 The Distance 3.47 mins. Disc 1 17 Turn 4.24 mins. Disc 1 16 The Beautiful Occupation 3.46 mins. Disc 1 15 All I Want To Do Is Rock 3.53 mins. Of Discs: 1 disc(s) Studio / Label: Warner Music UK Release Date: 20 Sep 2004. Disc 1 10 Letterbomb 4.06 mins. Disc 1 9 Extraordinary Girl 3.33 mins. Disc 1 8 She's a Rebel 2.00 mins. Disc 1 5 Are We the Waiting?. Kanye West : College Dropout, the [explicit] CD (2004)Title: College Dropout, the [explicit] Artist: Kanye West Genre: Rap/Hip Hop|East Coast Rap Duration: 76.10 mins Format: CD / Album Type: CD No. of Discs: 1 disc(s) Studio / Label: Virgin EMI Records UK Release Date: 15 Mar 2004. Various Artists : Clubland 6 CD (2004)Title: Clubland 6 Artist: Various Artists Genre: Dance|Compilation Duration: 216 mins Format: CD / Album Type: CD No. of Discs: 3 disc(s) Studio / Label: Universal Music TV UK Release Date: 08 Nov 2004. Of Discs: 2 disc(s) Studio / Label: Universal Music TV UK Release Date: 16 Aug 2004. 1 5 (I Dont Want To Go To) Chelsea. 1 11 Good Year For The Roses. 2 13 I Hope Youre Happy Now. 1 3 Watching The Detectives. Shania Twain : Greatest Hits CD (2004)Title: Greatest Hits Artist: Shania Twain Genre: Country|Country Duration: 76.50 mins Format: CD / Album Type: CD No. of Discs: 1 disc(s) Studio / Label: Virgin EMI Records UK Release Date: 08 Nov 2004. The Prodigy : The Fat of the Land CD (1997)Title: The Fat of the Land Artist: The Prodigy Genre: Dance|Industrial Duration: 56.20 mins Format: CD / Album Type: CD No. of Discs: 1 disc(s) Studio / Label: XL UK Release Date: 30 Jun 1997. Kylie Minogue : Ultimate Kylie CD (2004)Title: Ultimate Kylie Artist: Kylie Minogue Genre: Rock/Pop|Pop Duration: 121 mins Format: CD / Album Type: CD No. of Discs: 2 disc(s) Studio / Label: Parlophone UK Release Date: 22 Nov 2004. The Clash : The Singles CD (2004)Title: The Singles Artist: The Clash Genre: Rock/Pop|Punk/New Wave Duration: 64.40 mins Format: CD / Album Type: CD No. of Discs: 1 disc(s) Studio / Label: Sony Mid-Price UK Release Date: 13 Dec 2004. Whitney Houston : The Greatest Hits CD (2004)Title: The Greatest Hits Artist: Whitney Houston Genre: R&B/Soul|Female Vocal Duration: 155 mins Format: CD / Album Type: CD No. of Discs: 2 disc(s) Studio / Label: BMG UK Release Date: 04 Oct 2004. Various Artists : Now That's What I Call Music! 57 CD (2004)Title: Now That's What I Call Music! 57 Artist: Various Artists Genre: Rock/Pop|Compilation Duration: 156 mins Format: CD / Album Type: CD No. Bros : Push CD (2004)Title: Push Artist: Bros Genre: Rock/Pop|Pop Duration: 42.10 mins Format: CD / Album Type: CD No. of Discs: 1 disc(s) Studio / Label: Sony Mid-Price UK Release Date: 26 Jul 2004. Of Discs: 1 disc(s) Studio / Label: Warner Music UK Release Date: 19 Apr 2004. Disc 1 4 Can't Hardly Stand It 2.48 mins. Disc 1 13 Truly and Utterly Bill 0.47 mins. Disc 1 2 Goodnight Moon 4.03 mins. Disc 1 15 Urami Bushi 6.27 mins. Various Artists : Even Bigger, Even Better Power Ballads CD (2004)Title: Even Bigger, Even Better Power Ballads Artist: Various Artists Genre: Rock/Pop|Compilation Duration: 156 mins Format: CD / Album Type: CD No. Artist:Roy Orbison. All of our paper waste is recycled within the UK and turned into corrugated cardboard. We all like the idea of saving a bit of cash, so when we found out how many good quality used products are out there - we just had to let you know! Seal - Best 1991-2004 [2CD Set: Hits & Acoustic]. Title:Seal - Best 1991-2004 [2CD Set: Hits & Acoustic]. Your item will be previously owned but still in great condition. The disc will play perfectly without interruption and the case, inlay notes and sleeve may show limited signs of wear. Carly Simon - Reflections - Carly Simon's Greatest Hits. Title:Carly Simon - Reflections - Carly Simon's Greatest Hits. Artist:Carly Simon. All of our paper waste is recycled within the UK and turned into corrugated cardboard.